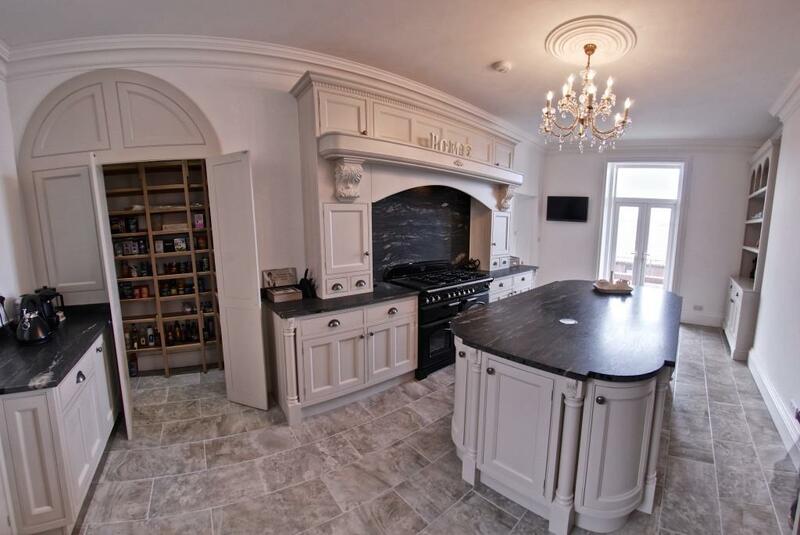 This elegant kitchen incorporating our stock range of DecWOOD Acanthus Carved Corbels and Dentil Cornice was recently installed by Gibsons Cabinets. The incredible detail combined with total consistency of our DecWOOD corbels makes it easy for any furniture maker to include this level of detailed mouldings and corbels. Our unique composite blend is so perfect, that once installed and finished a DecWOOD corbel is impossible to tell from carved wooden corbels or other wood mouldings. Read more on our range of DecWOOD carved corbels and dentil cornice here, or visit our online shop to choose your composite wooden mouldings.